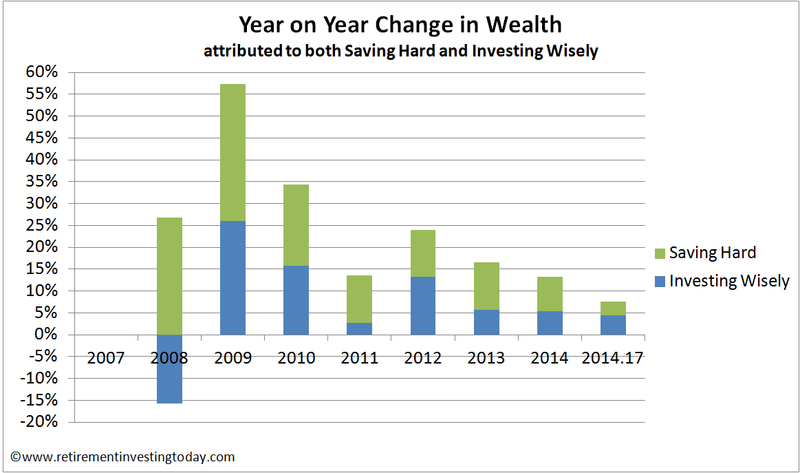 Retirement Investing Today: 18 Months to Go? 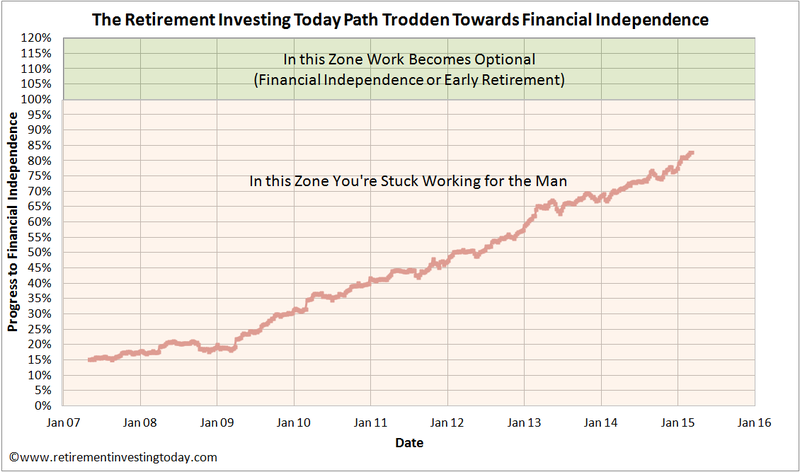 6 Months ago, almost to the day, I made the bold statement that I had 2 Years to Go before Financial Independence beckoned and optional Early Retirement was staring me in the face. If I'm on plan for that then today I need to be writing that I have 18 Months to Go. So do I? As always let’s run the numbers. One of the key pillars of my overall Retirement Investing Today strategy is to find ways to earn as much as possible while finding ways to spend as little as possible by living healthily and intentionally well below my means. The difference between the two is savings that can be invested to start working for me. So how have I done on this front given that to be successful I need to maintain a savings rate of 55% of gross earnings, which I define as Savings plus Employer Pension Contribution divided by Gross Earnings (ie before HMRC takes their portion) plus Employer Pension Contribution? Against that 55% target I've actually averaged a savings rate of 53.9% over the last 6 months. Note that here I don’t include any investment returns, EBay sales, savings account interest, credit card cashback or 5p coins picked up on the roadside as earnings. I do however make it hard on myself by counting the tax from both my salary and investments/interest as spending which encourages me to structure my finances as tax efficiently as possible. Still somewhere that would be great to live and we’ll likely spend 6 months there before making a final decision but at this moment on balance we think Malta has its nose in front. So I’m slightly behind on the savings front. It’s all up to my investments now. Here I am planning on receiving a real (after inflation) investment return of 4% annually over the very long term. In comparison over the past 6 months I've received a return of 2.3% against an inflation rate of -0.2% for a real 6 month return of 2.5%. Investments are ahead of the game. This chart is calculated as the amount of wealth I have accrued, divided by the earnings I need from my investments should I choose to retire, multiplied by my planned withdrawal rate. 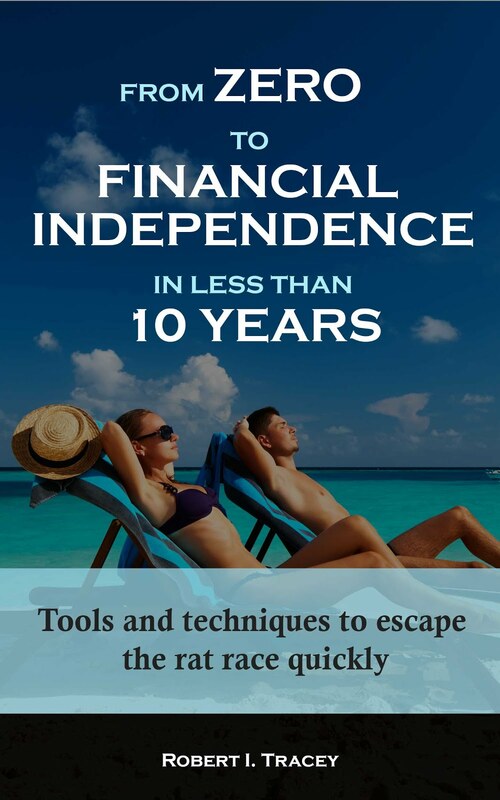 As I write this post I have 82.7% of the wealth I need to retire early. From here if I can save 55% of gross earnings consistently and receive a real 4% investment return then I am exactly on target to be able to retire in 18 months (scarily my Excel sheet tells me this is the case to 2 decimal places – 1.50 years). If this pans out I will have gone from no hope to FIRE in slightly less than 9 years by which time I’ll still be 43 years of age. That will be a result I’ll be very happy with, particularly in an environment where Ermine is telling us that Working for The Man post 45 is a risky business and I work for The Man. One thing that might worry me a bit is if your target wealth is measured at market values, it could mean that your decision making might get distorted by the vagaries of the stock market. For example, if there were to be a bubble in stock prices you might retire too soon (because you would be overestimating your "underlying" wealth) or if there was a big market crash you might put retirement off unnecessarily. Is there some alternative way of measuring wealth - e.g.. using some multiple of dividend or earnings yield, which would get around this potential problem or is this not an issue which concerns you ? 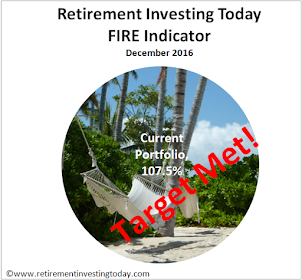 Once you push the Early Retirement button then sequence of future returns becomes a critical risk as you highlight. The amount I've chosen to draw down though is based on the Wade Pfau research which you can access by clicking on the hyperlink attached to the 'multiplied by my planned withdrawal rate' text within the post. This research includes looking at sequence of returns risk for the UK market so accounts for bailing out at a market peak. I then intend to draw down at a % which is less than the SAFEMAX number in the Pfau research so if history repeats I should have no problem. If it doesn't then I'll have to do some thinking and adjustment as I also don't want to be the richest person in the cemetery. Prior to pushing the Early Retirement button my strategy is that unless something left field hits me I won't even consider retiring until my wealth number based on the formula in the post is hit. I'm young enough to not take that sort of risk. While I'm tracking wealth generation in relation to my required earnings I'm also very conscious of the psychological element associated with selling down of an asset during a market crash or adjustment. I'm therefore also working hard so that my earnings requirement can also be 100% funded from dividends and interest meaning I shouldn't be forced to sell down. It's one of the reasons I'm taking my HYP building so seriously. Those stars seem to be aligning reasonably well with the wealth target but there is still some work to do. Next month should see me HYP buying again at current projection. What exceptional planning and calculations, as usual! It's actually a bit spooky that your spreadsheet is accurate to 2 decimal places to your proposed Retirement date. 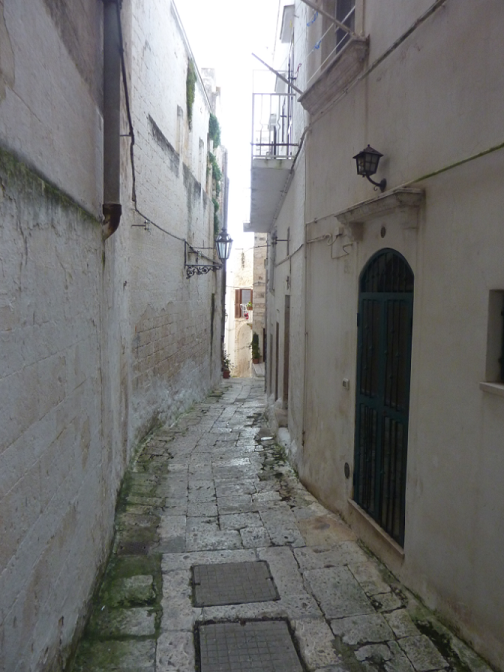 Puglia looks a lovely place. I like the idea of doing a ER practice run. I think you made a smart move by visiting it at it's worst in the winter to see what life would be like then. It's easy to be drawn into ANY location in the summer when the sun is shining with a blue sky. If you can continue on your current path on retire within 1.5 years that'll be one hell of an achievement. From No Hope to ER in 9 years at the age of 43. Wow. Very inspiring! I share similar goals, but I've been on this path for 1.5 years, and I have around 7.5 years left! It's great to see someone following through with the process and I'm keen to see you get there. For what it's worth, I believe you'll get there a touch before 1.5 years. Thanks for sharing the data. All the best! Great to hear from you Huw. As a 32 year old you're actually in a better place than I was. I didn't wake up to what the game was about and start on this journey until a few years after your good self. The only difference between yourself and my efforts is as any good Boglehead would say, 'Staying the Course'. Early on this is something that can be a little difficult but as time goes on veering from the path doesn't even enter one's mind because of the success - both mentally and financially - that the change in approach brings. Tenacity pays eh RIT? Well done on your efforts so far. Another summer, another winter, and you're staring FI in the face! cheers, Nick. Cheers for the wishes Nick. It doesn't sound long when you say it like that but it's still 17% of total journey time at current run rate... A bit more tenacity required yet. Hurrah for "salentoshire"! ;) K.
I understand the meaning of Salentoshire but what were you meaning by your reference to it? just you might not be alone to consider such a beautiful location, which is a good thing if you think about it.. Thanks for clarifying K. I agree that it's a very beautiful part of the world and I'm being very careful not to get caught up in that. It's of course a bonus to live somewhere beautiful but there's a lot more criteria to meet for somewhere to be home. My list of things would be - quality and availability of healthcare, strength of legal and financial system, aspects of communication with locals, loss of UK entitlements due to non-resident status, access to airports links, climate, local expenses and economic development of the region linked to petty crimes, etc. 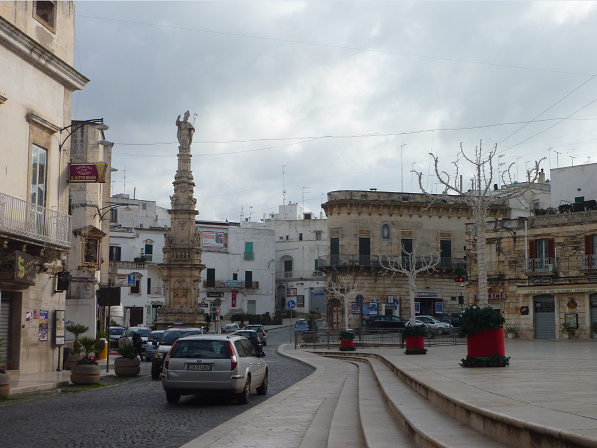 Just read about Ostuni a bit, sounds like good destination for my August break this year. Great list K, have you been looking over my shoulder? Within aspects of communication I'm very conscious of culture and acceptance of 'foreigners'. Within local expenses the price of a home is also of special interest to me. An extra one that I have on my list is personality which usually involves a bit of history - I couldn't think of anything worse than living in some concrete 'urbanisation' in 'a place in the sun'. Airport links are not so important to me as I won't be plane hopping so much as the new country will be home but proximity to a sensible town will be. I know I'll be losing a lot of UK entitlements - for example in Italy I'd be taxed on NISA's and in Malta I'd be taxed on any divi's/interest remitted to Malta including from NISA's. The Valle d'Itria would be very beautiful in August. A great place for a summer break IMHO. Your feedback on it as a home would be valued once you've been? Sure, if I go there why not. Yes, acceptance of the foreigners would be one of the most important ones. Agree with you about London. Certainly where I live there isn't much Little Britain going on which certainly keeps it interesting. I'd be interested to understand when, and how, your pensions fit into your plan - both occupational and state. I'll do a little back reading to see how you've accounted for the increase when they become payable. Great going and good luck for the final push. I am planning on receiving zero State Pension. By the time I become eligible I believe given the state of the public finances that it will either be means tested thereby removing my eligibility, the age goal posts will have moved out of my reach or the value will have been severely degraded. Given the uncertainty I've therefore removed it from my calculations with anything being pure upside. If I do receive it I won't ramp my standard of living as I'm happy with who I am. It would just mean my drawdown % would be lower still reducing sequence of returns risk. I'm not one of the fortunate ones to have a Defined Benefit Pension so that one also doesn't feature in my calculations. I do have a Defined Contribution Pension, the majority of which is a SIPP, which today only accounts for only 45% of my total wealth. At the moment I'm one of the last who'll be able to get access at age 55 but even if they extend it significantly I still should have plenty as my withdrawal rate won't be that aggressive. It will be something to watch and adapt to of course. Very worst case if they moved the goal posts a long way and we had a very extended market down turn then I'd have to consider a side hustle, living a little further below my means or worst case selling the home until the pension became accessible when I could buy back again. A lot would have to go wrong to get into that state though. There's of course always a risk I could run out but I'm also conscious you're also a long time dead. Congrats to you on also being on the home straight. Hi RIT, I'm very curious about how you achieved this "tax efficient" 55% savings rate. Does this mean that a lot of your income is generated from tax free sources (e.g. NISA) and perhaps you are a lower rate taxpayer? I only ask because I recently realised that as a higher rate tax payer, it will be very difficult for me to achieve a 50+% savings rate as it will leave me only 5% of my income, which won't even cover my mortgage. Of course that's not to say that it isn't doable - clearly paying off the mortgage solves the problem in itself - but from the sound of your blog that doesn't seem like the situation you're in. Would be interested to learn what you're doing! - For clarity I don't include investment dividends/interest in my savings rate calculation so NISA's aren't within scope. It's purely coming from my day job. I've learnt over the years not to discuss absolute numbers but I can say that the tax/NI I pay is more than I live on. - I'm currently renting. It is by far my biggest monthly expenditure. - Tax is progressive so for example even if you're earning £50,000 and saving nothing into a pension your effective tax/NI rate would only be 27.7% at today's rates and not 40% as you mentioned. Therefore you have more than 5% to live on after a 55% savings rate as a higher rate tax payer. In this example you'd have 17.3%. 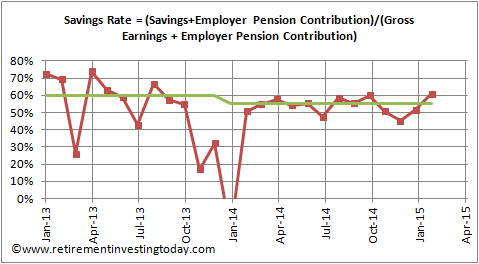 - As I mentioned in the post my savings rate is calculated as Savings plus Employer Pension Contribution divided by Gross Earnings (ie before HMRC takes their portion) plus Employer Pension Contribution. I personally sacrifice a lot of my salary into my Pension - currently circa 50% (Employer + My own). These contributions are obviously not taxed on the way in. I choose to sacrifice a lot as while a pension is open to government tinkering I'm a 40% tax payer now and will only be a low rate (20% tax payer if I stayed in the UK) payer in retirement so for me it's worth the risk. Unfortunately for me that isn't a very practical solution, mainly because I'm 30 and I want to be able to "retire" (e.g. to have children) before whatever age the government decides I should be able to access the money! So I use my NISA as much as possible for the freedom of withdrawal, but of course I'm not getting as much of a tax benefit as you. Thanks for the explanation and good luck keeping your savings rate so high. I'm very impressed that you're using your gross salary as the base figure, it gives us all something to aim for! Glad I was able to help a little. - a Private Pension operates very differently to the State Pension including the age at which you can get access. - even though you want to 'retire' early you'll still likely be living a lot of years past the age at which you can access your Private Pension. If you're a higher rate tax payer now and will be a no/lower rate payer in 'retirement' could it therefore be worth considering at least some contributions to a Private Pension as part of your overall saving? I made my bold statement as well, I have 9 months to start living from investments income only and 75 months for my early retiriment. My retirement destination is a bit more exotic, it is the Philippines with the challenge of having to educate kids, but the pan is some years there and some probably in the Canary islands in Spain. My calculations are quite similar to yours, getting 3.5% minimum yield after taxes, inflation and fees, and my retirement age is 44, if things get ugly in some point I'll give myself one extra year maximum. I'm pushing my retirement 6 years later to avoid being in trouble in case my investments go deep, in that time I expect to have double the required income from investments. Thanks for sharing your plan Dalamar. Given how you plan to work for 5.5 years after your expenses are covered by investment income and with your yield after taxes at 3.5% I'm guessing your allocation to equities is much higher than mine. What does your plan say will be your withdrawal rate (expenses divided by wealth) in 9 and 75 months? I'm planning to allocate 50% in Real State and 50% in Equities, at the moment I have 80% in real state that is giving me around 6-7% rent yield, 10% in equities and 15% in cash. My idea is to live 100% from the yield and not touch the principal at all, I believe that I could be in a position to do this by the end of the year, my target is to start living from it on next year and save invest my salary in equities, plus buy another property this time to live on it. Any chance you're attending FFBF's event later this month? I was considering it. The only thing stopping me is that it is pretty important to remain anonymous for a little while longer although given the audience at the event I can't see that being much of a problem. It would be great to be surrounded by some like minded individuals rather than consumers for once. What an inspiring post - shows the rest of us newbies in the PF/FI world how it can be done with hard work, good planning, focus and perserverance! Your goal is in sight at 82.7% and you are advancing strongly towards it - well done! I look forward to following your progress til you get there! As Huw says, such a great idea to visit Italy during a time when you don't normally go. Too often people's fond memories of places are tied seasonally so you may not like those places at the wrong times of year! The last few years really has seen a positive change in the UK PF/FI blogosphere. When I started this blog in 2009 there really wasn't anyone and it was a pretty lonely existence. Even visitors to this site were few and far between. Now there really is a great online community starting to form with people like yourself and Huw. I also note that traffic to the site is also increasing meaning that there are plenty more PF/FI lurkers out there as well. I hope they feel welcome enough to join in idc. Glad you are nearly there. Can't wait to get there myself although my income suggests I would eat into my capital slightly as I progress - having shares in Tesco doesnt help with their reduction in dividends. Shrinking dividends is a worry at the moment from all sources (shares and funds). 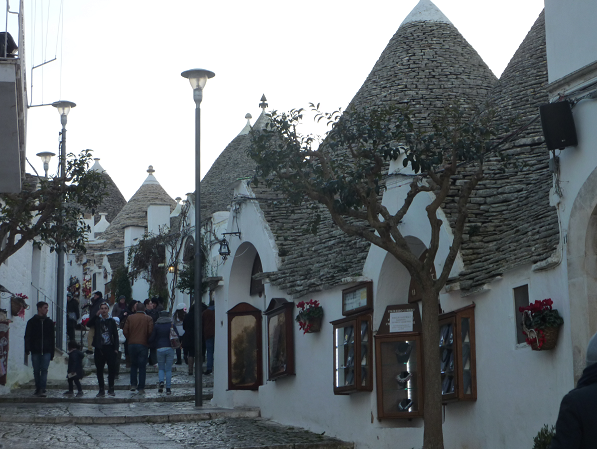 Love the look of Puglia - never been, only travelled to Sicily and Pompeii/Amalfi coast & Venice - fab places. Good luck. I've never been to Pompeii or the Amalfi coast but I also have very fond memories of Sicily (Taormina is beautiful) and Venice. Great holiday destinations in the summer but I just couldn't see them as home. Have you previously posted on what you get up to in your daily life? I have a lot of respect for what you're achieving and would enjoy hearing how you enjoy daily living while being frugal. When last did you go on holiday? What do you do for entertainment? Etc. Does that make sense? Just trying to get a feel for the types of adjustments I'd have to make. Great questions and something I usually don't really talk about. Let me defer what I was going to talk about today and instead work up today's post on this exact topic. Thanks for the post, RIT, as always. Have you tought of Portugal? As a non-dom you would not be taxed on foreign income (i.e. all your income) for 10 years. Lisbon is a beautiful city, lots of sun, and more cosmopolitan than most places you are considering. You can live by the beach and be only 15 min from an international airport and city life. Portuguese is close to Italian (does not seem like it is, but wait a couple of months and you will be in the game). Just worth to think about. Thanks for the hint on this one. I'll certainly do some research on the topic as I've just never thought of it as a possible home. I have however been fortunate to visit Portugal a couple of times including Lisboa and I agree it's a beautiful country full of many fabulous people. Have you spent significant time there? We are as close to our FI as you, that is why we are interested in these topics as well. Thank you for your website. BTW, here is an FT topic on pension benefit in Portugal this weekend: "A place in the sun and a tax-free pension"
A huge thanks for all of your blogs - very inspiring and insightful. I myself as a twenty something year old am just setting out on this path. May I ask if you are able to share any of your Excel documents? (obviously with your personal numbers taken out! But with formulas left in). Provided my property sale goes through on Tuesday, I will be able to retire at 53...but I suddenly realise I'd much rather use my talents in work.